NYGeoCon 2017 Call for Presentation Proposals! 3 Weeks Remaining! The NYC Geospatial Information Systems and Mapping Organization (GISMO) has been chosen by the Mayor’s Office of Data Analytics (MODA) to host an event during Open Data Week that will be held on Wednesday, March 6th between 4:00pm to 6:00pm in the 6th floor conference room of the Fund for the City of New York. New York City government’s development of an open data portal and the implementations of policies that result in hundreds of data sets being made available to the public through the portal, is an enormous achievement. 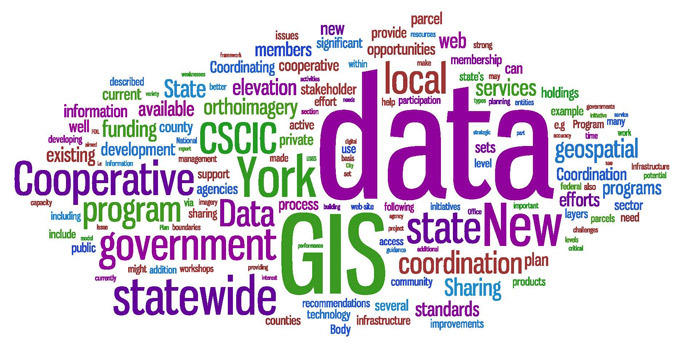 Many of the data sets available over the portal contain a location identity – such as an address or spatial coordinate – and are therefore of great interest and value to NYC’s sizeable spatial community. The purpose of this event will be to document user experience with spatial data currently residing on the City’s Open Data Portal. We want your opinions about spatial data access, data format; data quality, timeliness, and completeness; and the ease of data use. Looking to the future, we want your ideas for how the City can improve its spatially enabled open data for greater efficiency and value for you, your organization, and for New York. To speak at this event you must have practical, hands-on experience using spatial data from the City portal. If you meet this qualification, please RSVP at http://www.gismonyc.org/events/open-data-week-event/ and provide some basic information about yourself, your organization and a short preview of what you’d like to say. Each speaker will have up to five minutes to speak, but can submit written documentation of any length. You do not need to be a GISMO member to participate. After individual statements there will be an open discussion among attendees on priority topics. If you have any questions please email me at aleidner@fcny.org. Space is limited so please respond to this ASAP. Once a speaker listing is established, we will invite interested GISMO members to fill the remaining seats in the conference room on a first come basis. Statements and discussions will be recorded and GISMO will prepare a public report on event proceedings.